Hamilton was relived to find out he hadn’t been penalised. LEWIS Hamilton has kept his victory at the German GP after surviving a lengthy post-race investigation into his aborted pitlane entry during the race. After summoning the Mercedes driver, the stewards found Hamilton guilty of breaking the regulations but opted to hand him a reprimand rather than a time penalty. Hamilton was investigated over his aborted entry into the pitlane after title rival Sebastian Vettel had crashed out. Hamilton returned to the track by slithering over the grass to take the lead of the grand prix after Valtteri Bottas and Kimi Raikkonen, who had held track position ahead of him, had pitted. "It's the most emotional day, up and down," said Hamilton, who won from 14th on the grid. "No one ever wants to go and see the stewards, they have the hardest job because every scenario is always different, but this has just been an unbelievable day." - "The driver and the team candidly admitted the mistake and the fact there was confusion within the team as to whether to stay out or to enter the pits and that led to the infringement." - "The fact that the infringement took place during a Safety Car period." - "At no time was there any danger to any other competitor and the change in direction was executed in a safe way." 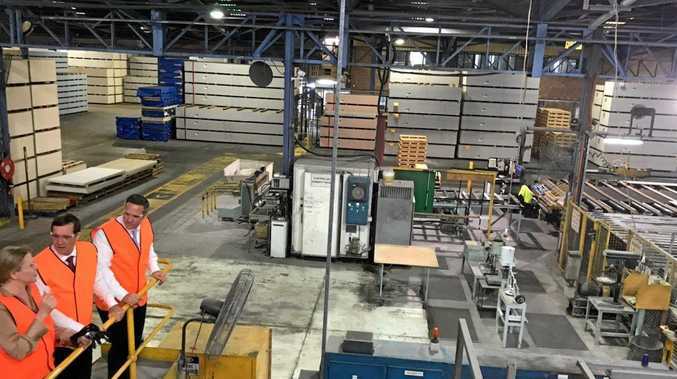 Summing up, the stewards concluded: "Taking all of the above into account, including considering previous infringements of the above rule, we are of the opinion that a reprimand would be the appropriate penalty for the said infringement on this occasion." 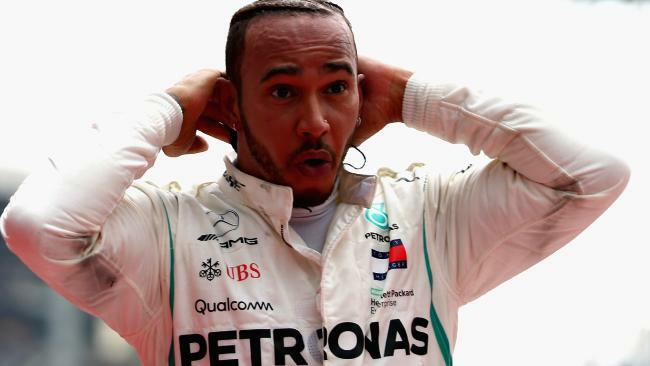 Giving an insight in what he said to the stewards, Hamilton said: "Many times in the past I was in there a lot, but I hardly ever see them now and respect the rules and respect the job that they have to do. I was just open and said, 'This is how it was.' They could see and hear how confusing it was." Hamilton was running third when Bottas was called into the pits after the Safety Car was deployed, and seemed to be stopping himself the next lap before receiving a radio message from Mercedes and swerving back onto track. "I started turning in, then they asked me to box and then I said, 'Kimi (Raikkonen) is pitting' and then they said, 'Stay out' and I was already in the lane!" Hamilton explained before his penalty was confirmed. "So I started turning out and trying to go over the grass and then they said, 'No, stay in!' and I was already back on track." One BBC commentator said: "It's a shambles, that is a shambles. I understand the pressure on these guys is immense but when you're a driver … what on earth do you do?" Hamilton said he was trying to do the opposite to Raikkonen, the Ferrari driver in front of him after Vettel's crash. He added: "The reason I was mentioning it was because there were times when you do the opposite to the car in front and I really felt that this was a chance to do the opposite to Kimi and gain ground on the road. So that's why I questioned it an ultimately it turned out to be the right thing. "But it was so intense. It was really confusing because they were all panicking on the pit wall, I was probably the only relaxed one. They were shouting, 'Yes, no, come in, don't come in.' It was exciting. It's cool to see how much they care and to see them on the edge of their seats." Hamilton later added: "I don't know if you heard the radio after, but I was like, 'Guys, that was the most confusing couple of seconds' because they were shouting in my ear, 'No left, no right.' But I think it was still relatively exciting." An ecstatic Hamilton hailed the remarkable win as one of the best of his career. He won despite starting 14th on the grid, and now leads Vettel by 17 points in the title standings. It's the first time the Brit has ever won after starting lower than sixth on the grid. "The mistake from Sebastian today has been a benefit to us at Mercedes," Hamilton said. "I've never had a race like this. After racing for so many years, you never know when you're going to have a better race than your best race. "But this is right there with them. "It's obviously very difficult from that position but you've always got to believe. "I just wanted to stay calm and collected. I'm so grateful, I kept pushing and kept believing and it happened. I really manifested my dream today." 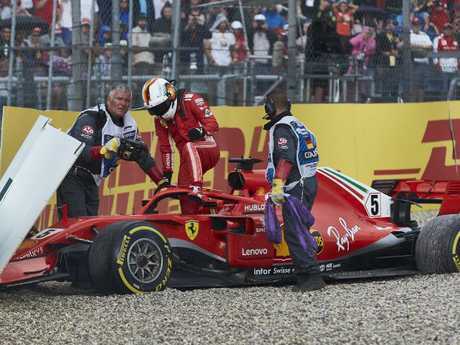 Vettel crashed after the heavens opened in Hockenheim, losing control of his Ferrari as he entered the hairpin turn late in the race. "I guess it is (a crucial point in the title race)," said Hamilton. "There have been several crucial points already this year." "I'm just focused on trying to be the best I can be in myself. Because the best me ... if I'm my best and my higher self, I feel like I'm able to drive like I was able to today, regardless of all the people, who else is around doing whatever they are doing." Sebastian Vettel had a day to forget. Even though Sebastian Vettel has won four F1 titles and 51 races, he is still prone to worrying lapses of concentration. The Ferrari driver accepted his small mistake at the German Grand Prix cost his team in a big way and gifted Lewis Hamilton and Mercedes a victory they could hardly have expected. As the rain came thudding down at the Hockenheim ring - near to where Vettel grew up - his judgment seemed to slip away. Leading from pole position with only 15 laps to go, Vettel misjudged a routine entry into a turn, slid off the track and slammed into the barriers. Race over. "I threw it away. It was my mistake. We had the pace and we controlled the race for most of it," Vettel said. "We had the race in the bag. "Apologies to the team, they did everything right and I had it in my hands. Small mistake, big disappointment." Vettel climbed out of the car and kicked the gravel in frustration. "I realised quickly that it was over," said Vettel, who again played down his mistake. "I think it feels better if it's spectacular, because then you've done something really wrong." He added that "I didn't do much wrong" but his performance was "not enough to finish the race".